It’s Grandma’s birthday, and Ruby knows exactly what Grandma would love-a beautiful ballerina box. Max also knows what she’d love-a scary pair of ooey-gooey vampire teeth. 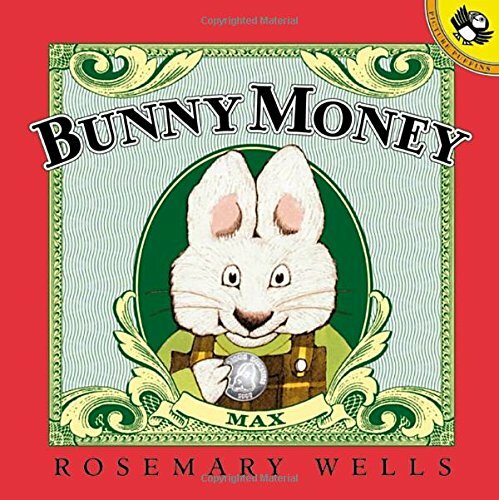 Ruby has saved up a walletful of bills, but as unexpected mishap after mishap occurs, money starts running through the bunnies’ fingers…. Will they have enough left for the perfect present? 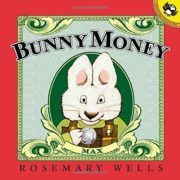 Wells’ adorable story is also a fun and lively introduction to early math.